Her work is all five star. It is exquisite and beyond beautiful. She is an artist extraordinaire and a wonder to work with. I highly recommend her to the world of art and beyond. I thank you! 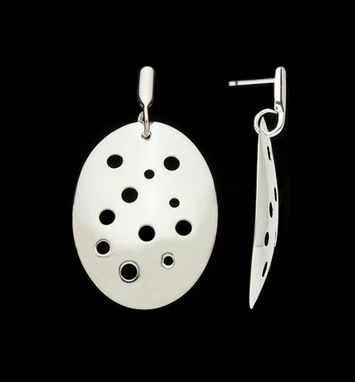 These discs are slightly domed with circular punched piercings and dangle from sculpted earrings. The disc dangles are hand made in my studio and the sculpted earrings are cast from my hand wrought originals. 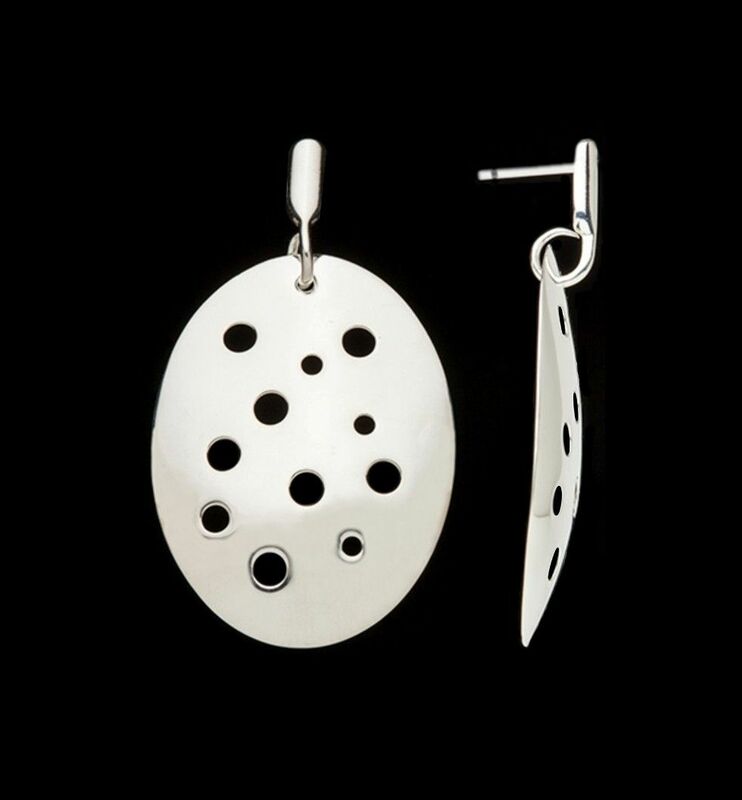 - Dangle length: 1 1/5"
- Dangle width: 1 1/16"
Dimensions: Measures from top to bottom: 2"
Every maker has a story. Be a part of Dcg Designs's story by placing an order, leaving a review, and seeing your review appear here.